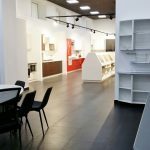 Italian Design goes to Russia thanks to Larosa Design. 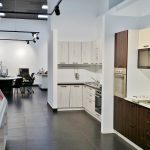 Italian designer, Arizona based, Antonio Larosa have transformed an old soviet-style building into a gorgeous contemporary and very functional showroom for kitchens producer Eurodesign. 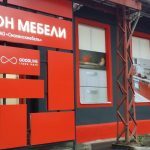 The showroom is located near the kitchen factory in the city of Smolensk, Russia. 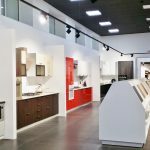 Showcasing 20 full kitchen vignettes and several bathroom vignettes, the showroom also features a large design area where customers can interact with friendly designers and consultants ready to help buyers with all kind of design ideas. 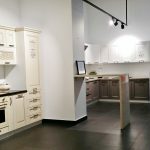 The 20,000 square-foot fashionable showroom designed by Antonio Larosa, provides plenty of space for showing off Eurodesign’s kitchen collections and is geared toward the residential and the contract markets.